​SiPhûthî is an endangered South-Eastern Bantu language. 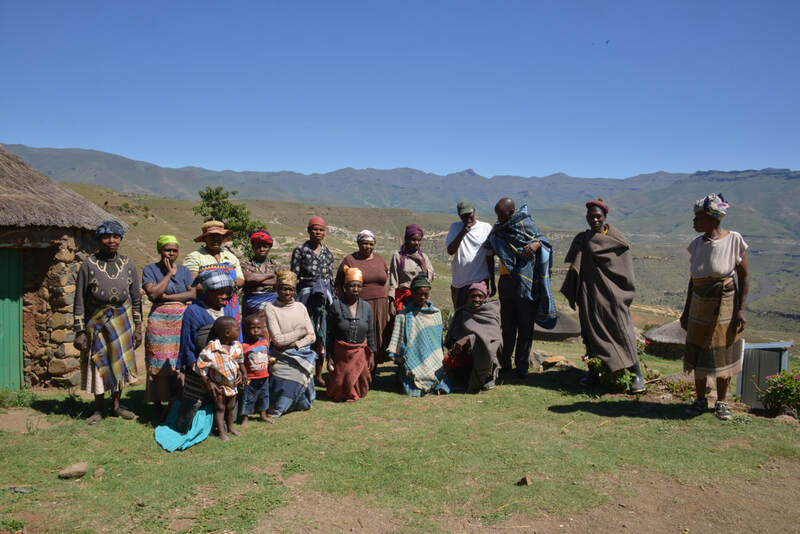 It is spoken by baPhûthî communities who live in southern Lesotho and in the northern Eastern Cape province of South Africa. 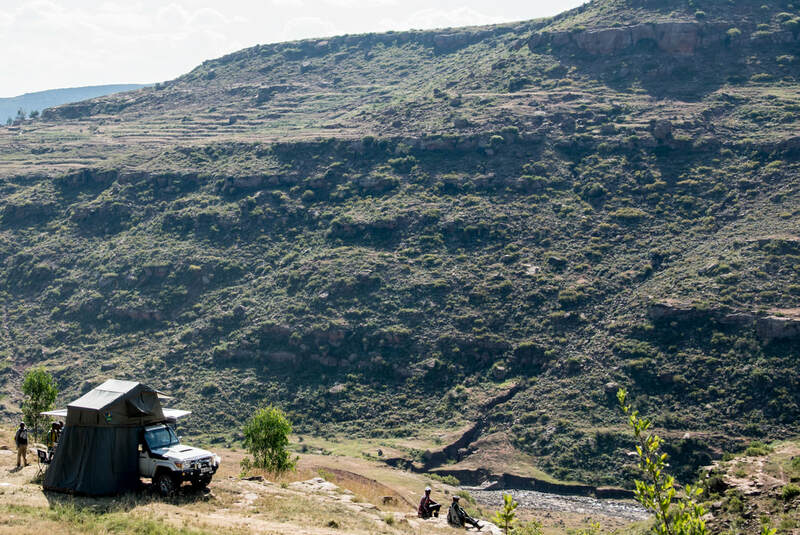 The number of siPhûthî speakers in Lesotho is estimated to be around 20,000. This figure, however, is not supported by any language census data and my own estimates based on visits to almost all siPhûthî-speaking villages in 2016 suggest that the actual number of fluent siPhûthî speakers is much lower. 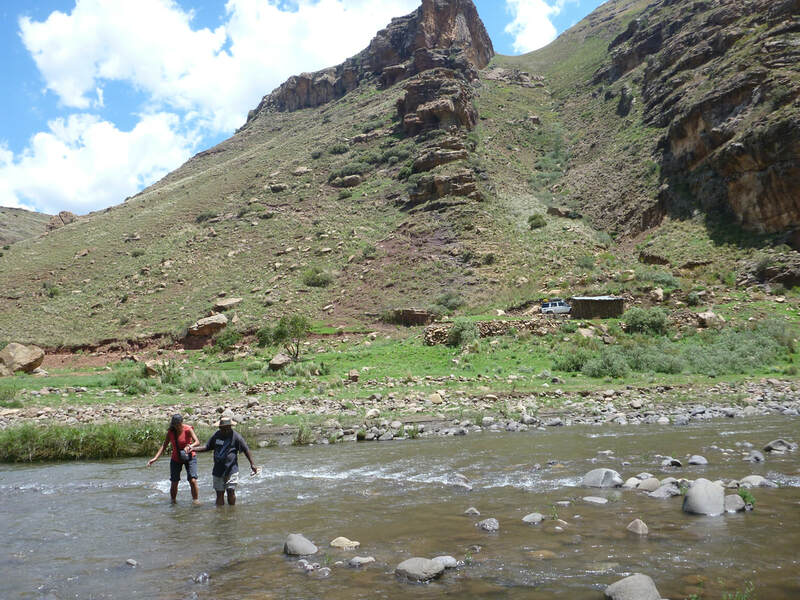 ​The majority of the baPhûthî communities live dispersed in isolated areas in two marginalised and poorly developed districts of Lesotho. They live in extremely modest conditions. 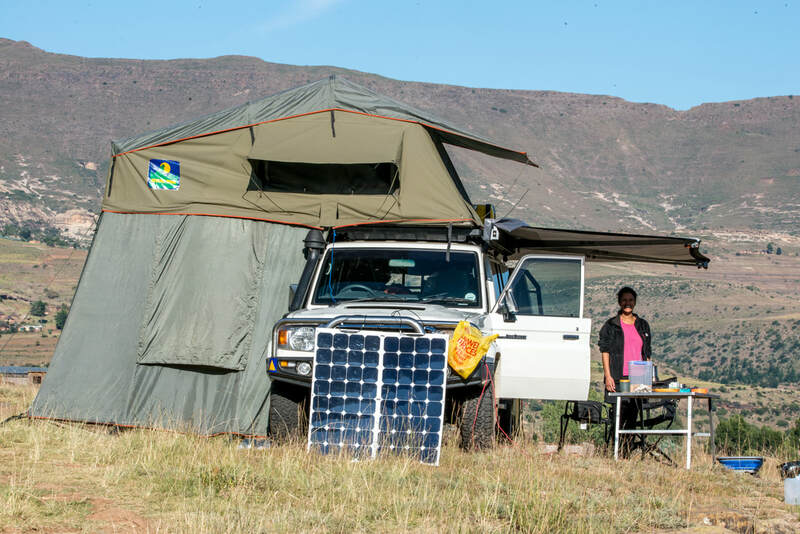 They do not have electricity, and infrastructure such as housing, roads and transport is very basic. 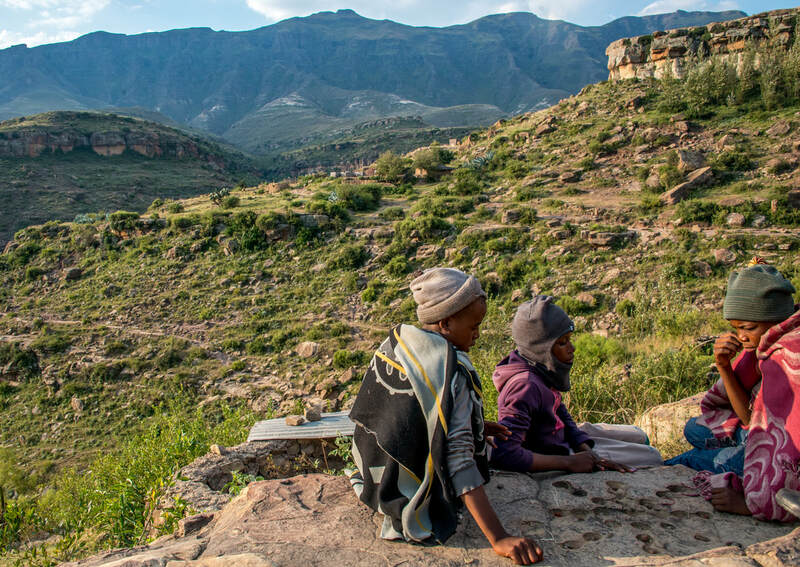 The baPhûthî are dominated culturally, politically and socio-economically by the Sesotho-speaking majority (i.e. 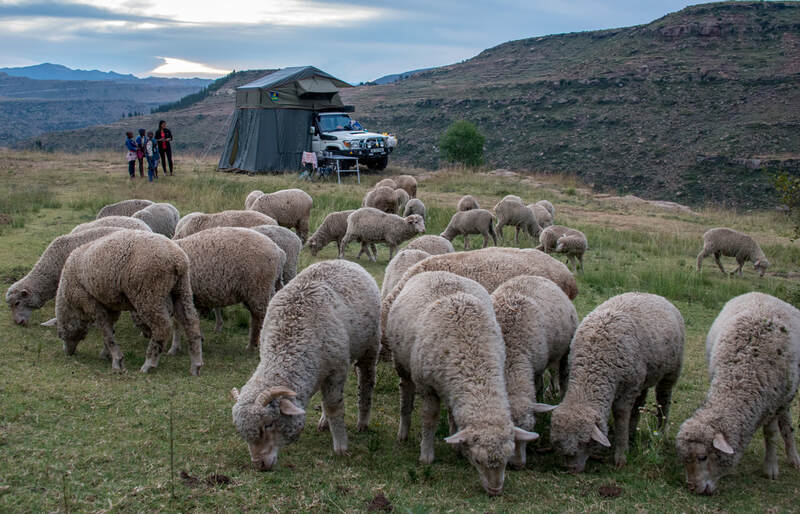 Basotho) in the country. 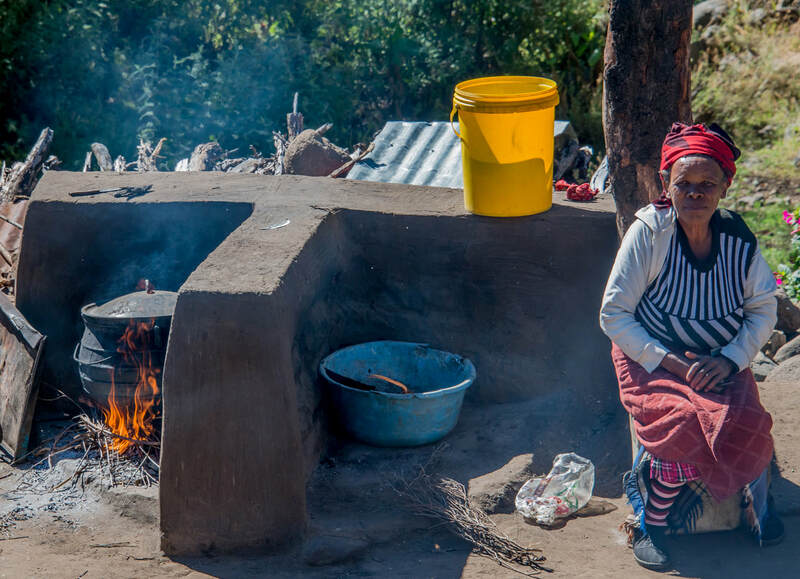 They have been under Basotho rule since 1879 and are fully assimilated to the Basotho culture in all respects, with the notable exception of their language, siPhûthî. 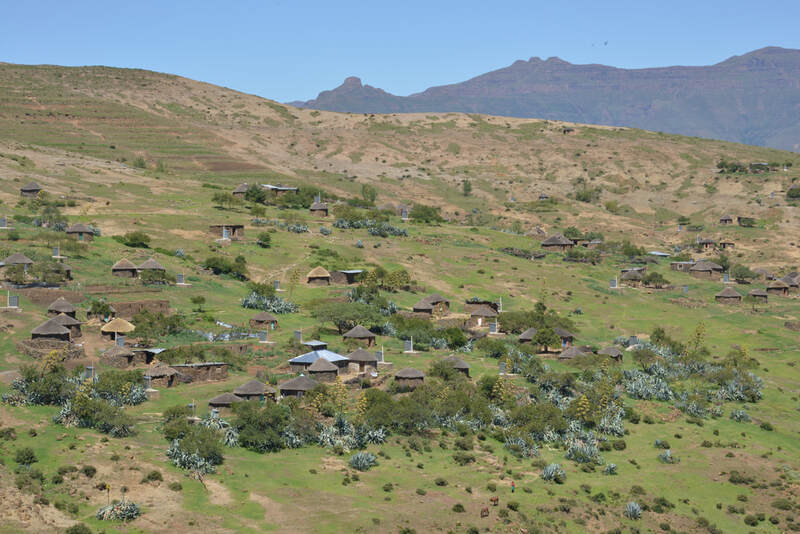 Due to the small number of speakers, the widely dispersed settlements as well as the high level of mobility of baPhûthî community members, siPhûthî is under heavy threat of being replaced by Sesotho. 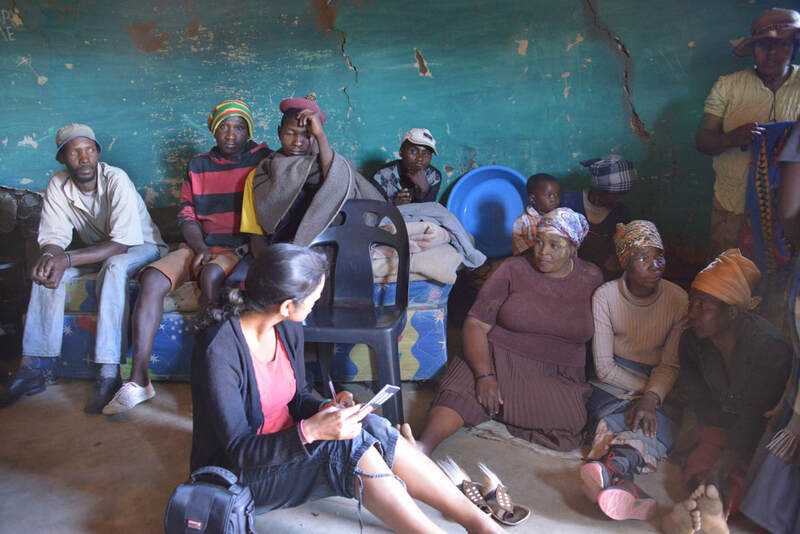 Today, in all but one valley, baPhûthî use Sesotho to communicate even in their homes. More recently, language maintenance efforts have been undertaken by some language activists. 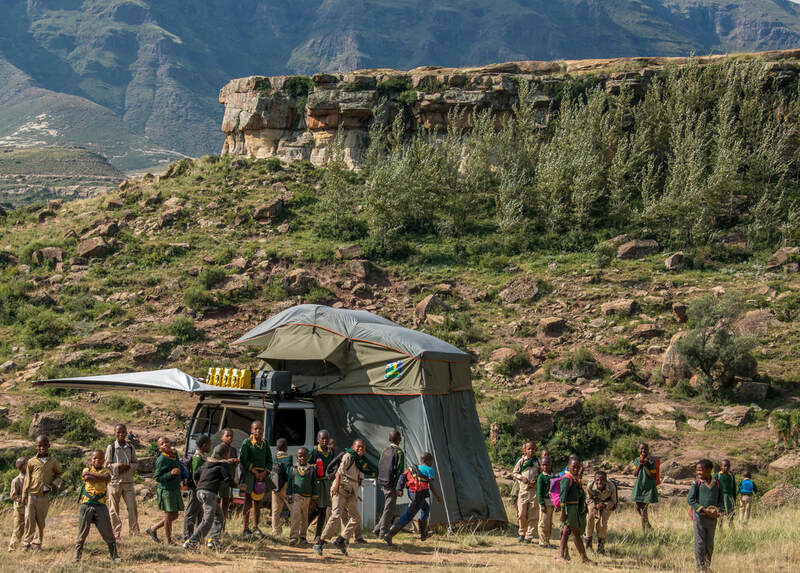 ​I started working on siPhûthî in 2016 and have to date conducted two fieldtrips to Lesotho. 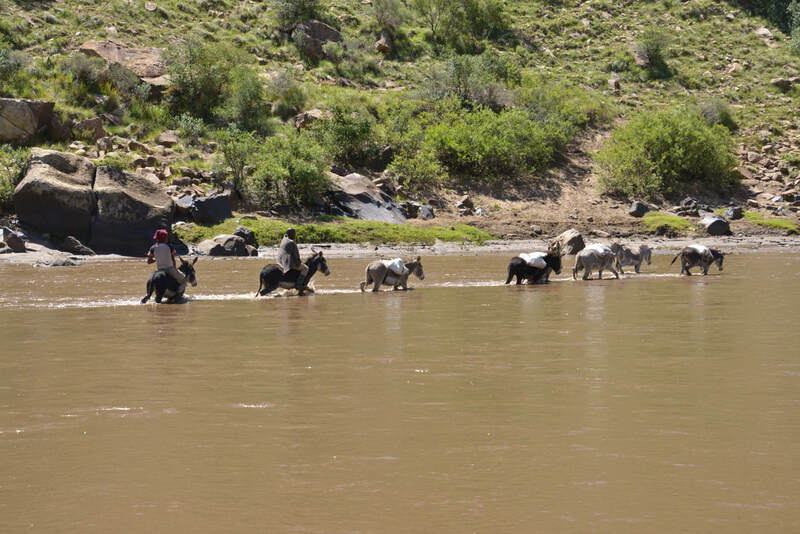 During these fieldtrips, I collected language data, mainly from the Daliwe river valley, which is considered to be the core area of siPhûthî speakers. 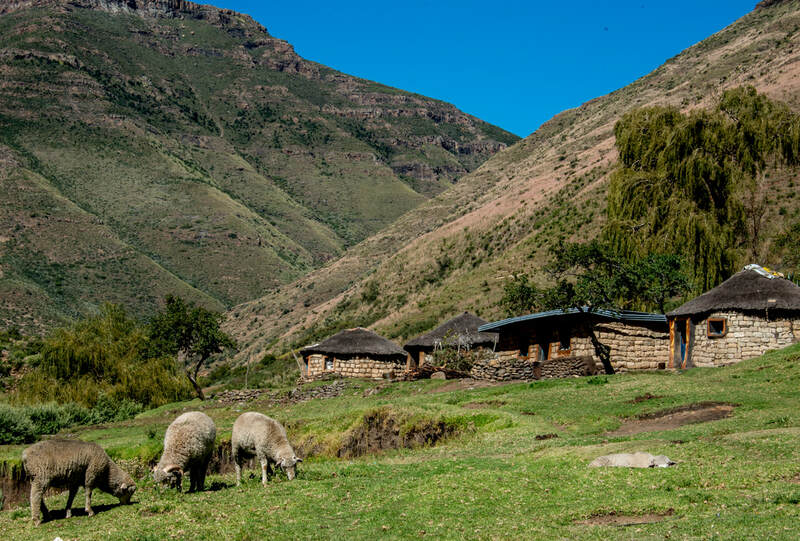 ​SiPhûthî is spoken by baPhûthî communities who live in the Quthing and Qacha’s Nek districts in southern Lesotho and by a few speakers in the northern Eastern Cape province of South Africa. 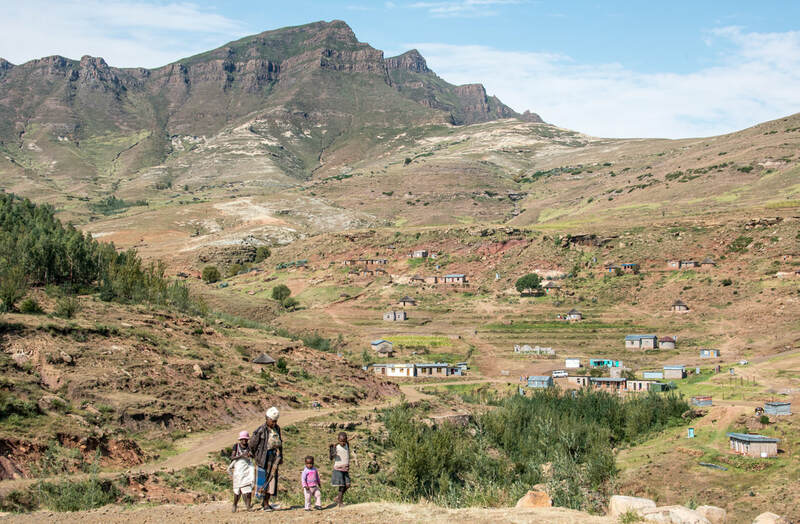 In 2016, I visited almost all siPhûthî speaking settlements in Lesotho. 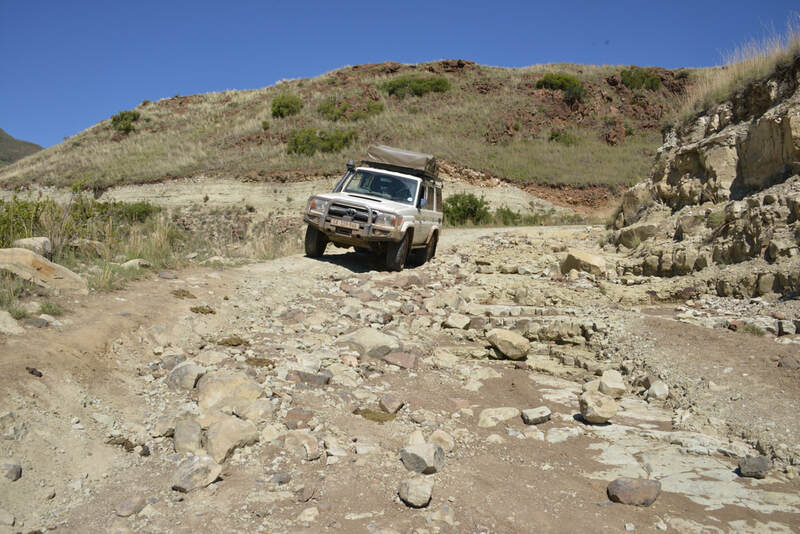 Some were impossible to reach by car and could only be reached by foot or donkey. What do we know about siPhûthî? SiPhûthî is severely under-documented. Sources on siPhûthî are limited to two short wordlists, two academic articles, two MA theses and two PhD theses. 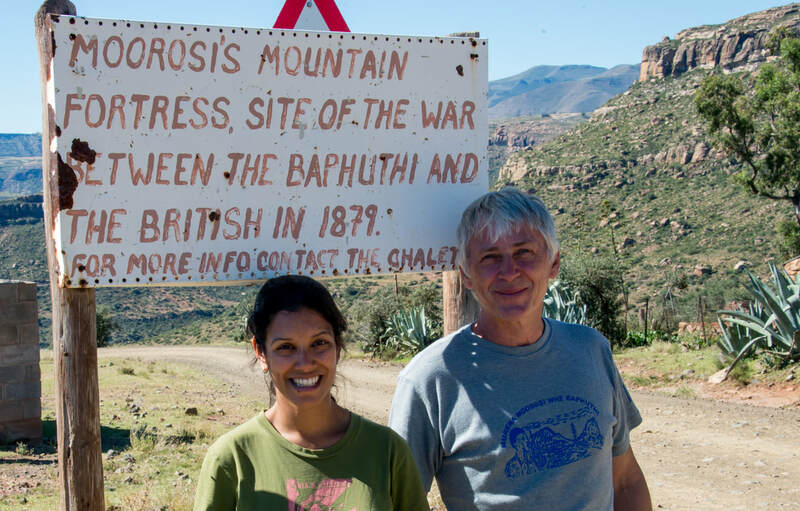 The most thorough research on siPhûthî was carried out by Simon Donnelly. His main focus was on the phonology of the language, especially on its tonal system. His PhD thesis also contains a 1,550 wordlist of the language, and constitutes the main source for siPhûthî to date. The few publicly available records of the language are in text format only. My goal is to contribute to a better documentation of the siPhûthî language by developing an annotated digital audio-video corpus of siPhûthî recordings and a more comprehensive record of the lexicon of the language. Is siPhûthî different in different places? ​BaPhûthî from different geographic areas are generally not in contact with one another. Nevertheless, there seems to be a widespread agreement among baPhûthî that the ‘best’ siPhûthî speakers are the ones living in the Daliwe river valley. The siPhûthî spoken there is also generally perceived as the ‘original’ siPhûthî. I am interested in further exploring siPhûthî varieties in the different geographic areas, with a focus on lexical and morphosyntactic properties. ​Research on siPhûthî is of historical and linguistic interest. A thorough documentation and description of the language will contribute to a better understanding of the genesis of siPhûthî about 200 years ago, and the changes which led to the presently spoken siPhûthî varieties. 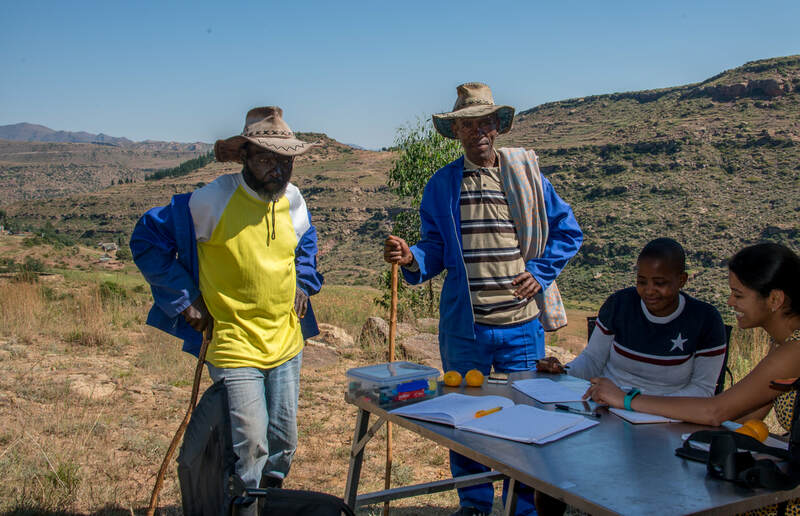 Some scholars consider siPhûthî – a Tekela Nguni language – to be a hybrid language due to its substantial number of shared features with Sesotho. The analysis of siPhûthî – because of its very nature of originating from one language sub-group and changing heavily under the influence of another – will also contribute to the ongoing debate about what constitutes a mixed language in comparison to a hybrid language.